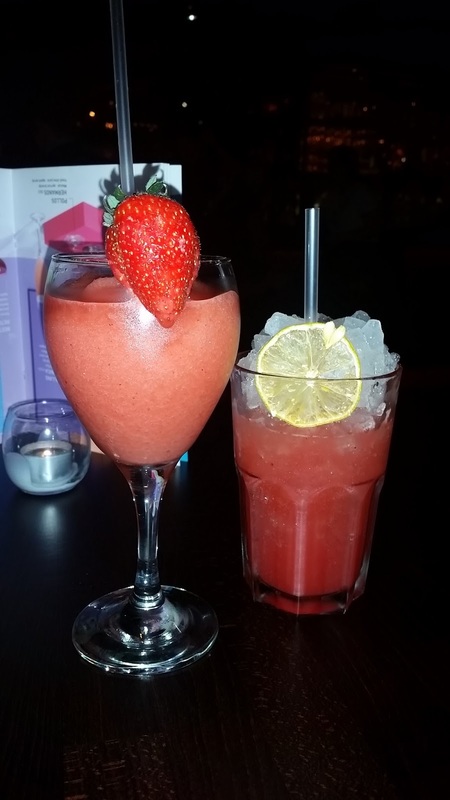 Mummy Of 3 Diaries: 150 Cocktails to choose from. 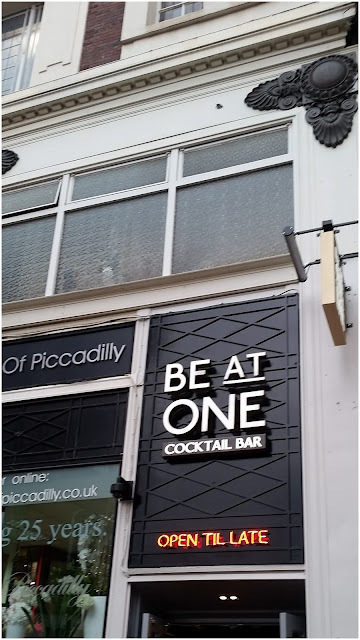 Be At One Birmingham opens today! 150 Cocktails to choose from. 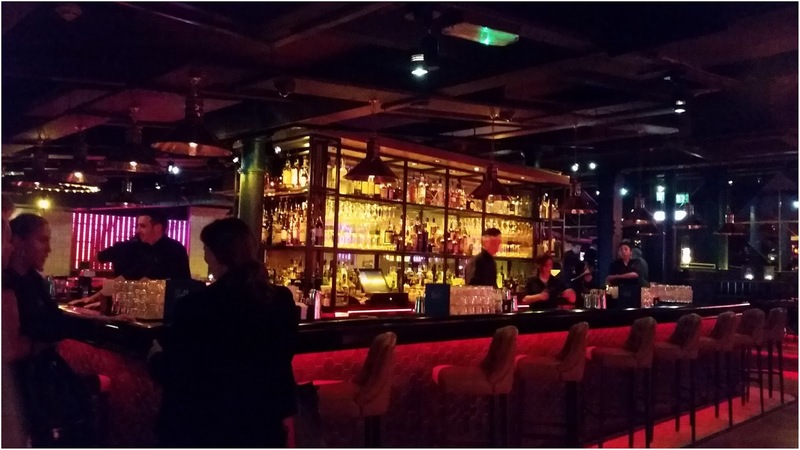 Be At One Birmingham opens today! 150 Cocktails to choose from. Be At One Birmingham opens today! Be At One Birmingham opens to the public tonight but I was lucky enough to get a sneak peak inside yesterday. Based in Birmingham's Piccadilly Arcade, it's right opposite New Street Station making it a great little location. From the outside it's just a door but on the inside it's a completely different story. 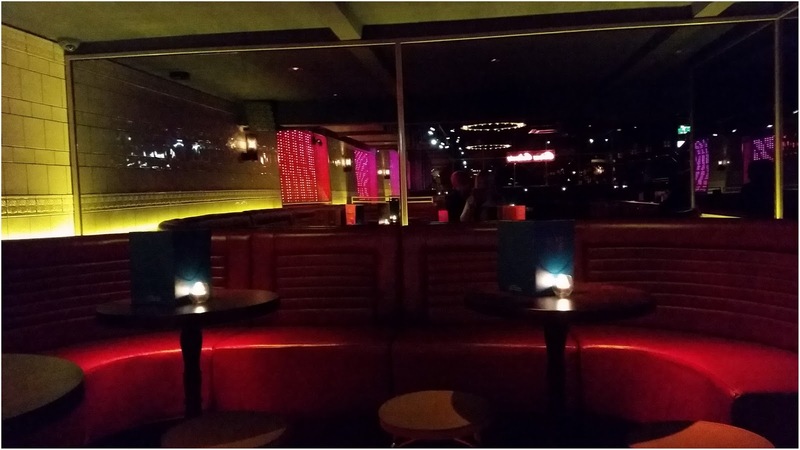 Once down in the basement you enter an amazingly furnished, low lit room filled with a whole host of comfy booths and leather bar stools. Candles light each table making the place feel really relaxed. The music playing is proper old school which I loved. I think we heard everything from Wham to modern day pop. 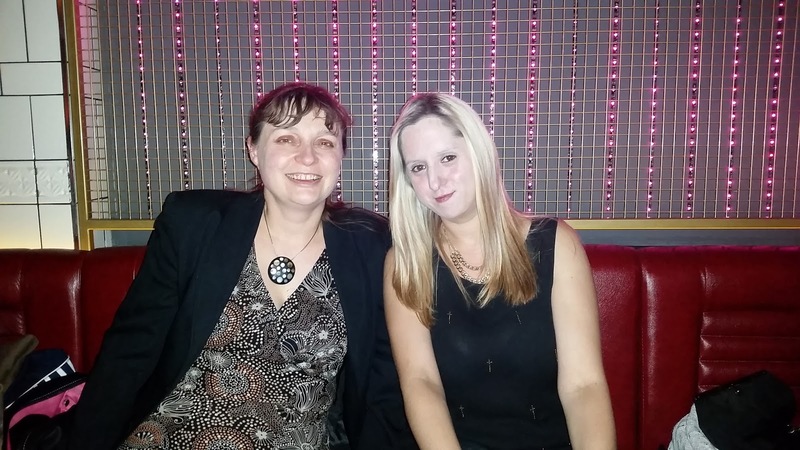 The party atmosphere was very apparent. The bar staff were singing and dancing around the bar. Shaking shakers, throwing bottles to each other and generally putting on a show. The staff last night were amazing! Everyone was so friendly and helpful, they just couldn't do enough for you. If you're unsure what to choose, they're more than happy to help suggest something for you and actually get the choice spot on for you. I was impressed! 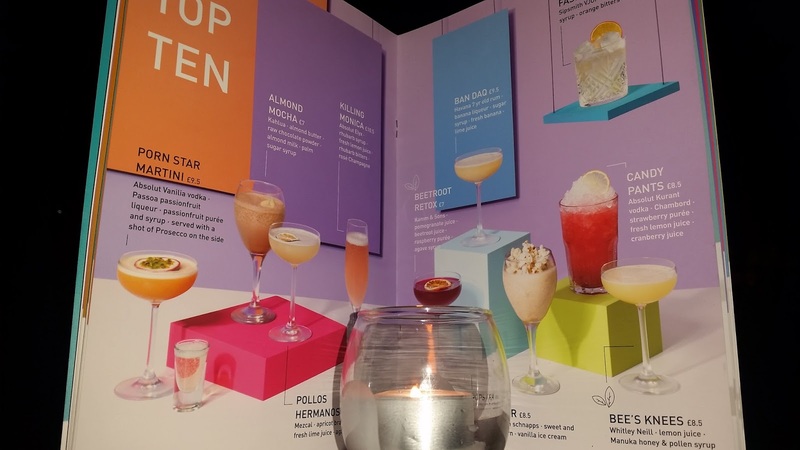 With 150 cocktails to choose from, it's a pretty tough quest but one I was willing to take on. 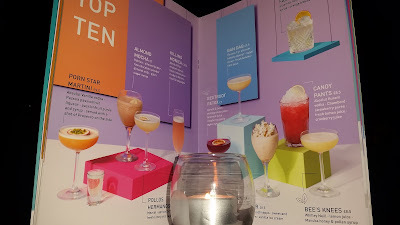 The Menu's are great, they're very bright and colourful and every cocktail is fully explained with a picture, list of ingredients and even a heads up as to which glass it will be served in which I really loved. My first stop was a champagne cocktail called "Killing Monica" which was amazing but the star of the show for me was their "Pornstar Martini" which came with a Prosecco shot. This made my day, delicious passion fruit flavours in a gorgeous glass and a shot glass full of bubbly Prosecco, what's not to love. I was in cocktail heaven. Their "Strawberry Daiquiri" which is my normal go to cocktail whenever I have a cocktail was sweet and fresh just like a good Daiquiri should be. Simple yet perfect served with a juicy strawberry on the side, yum. This was the fruit Daiquiri but they also serve them dry or straight up for an added twist. Next to the Daiquiri is a cocktail called "Candy Pants" which is an explosion of berry madness with it's delicious fresh strawberries and blackcurrant vodka. Every cocktail is made with love, the staff are basically serving pure happiness in a glass. There was quite a wait at the bar but that's to be expected when so much love and effort goes into each glass. There are plenty of bar staff ready to serve you and with the antics going on behind the bar I didn't actually mind waiting at all as I was enjoying the show. 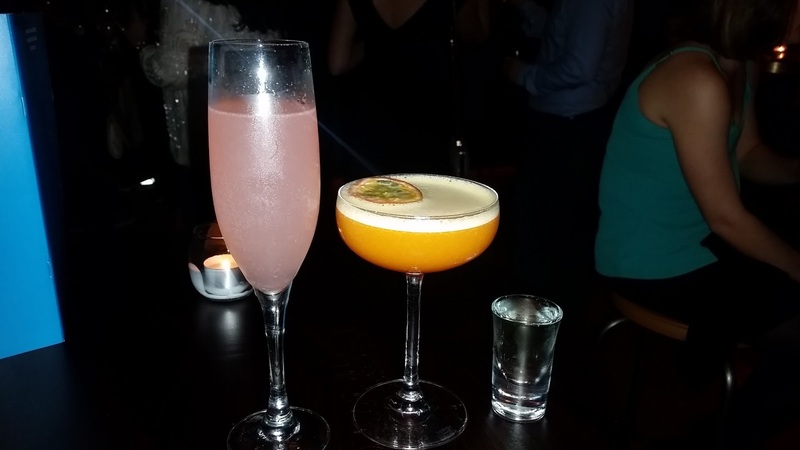 Be At One is a classy cocktail bar with a real relaxed old school party vibe going on. The staff are well trained and seem to really love their job. Their smiles were genuine and they seemed to be having lots of fun behind the bar. The cocktails alone make Be At One well worth a visit. The prices range from £8.50 to £10.50 but you won't be disappointed. I had a wonderful time last night. 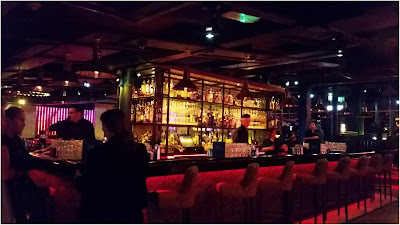 It was great to check out the new bar and try some of their amazing cocktails, I think I managed 5 different ones. Be At One's the ideal place to relax with family or friends in it's comfortable surroundings and enjoy a fancy cocktail or two. Disclosure: I was invited to the Be At One VIP Pre-Opening party to check out the bar and try some of their cocktails. All the opinions in this post are 100% honest and my own. I was here! 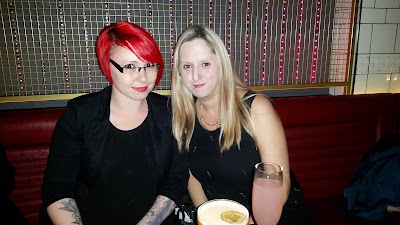 I went the next night as well and actually preferred the vibe the second time- more chilled out and less of a wait.